If your child is curious and creative, intelligent and imaginative, moved and motivated, the academic offerings at Christ's Church Academy will meet their demands and exceed their expectations. Classes at CCA, from Kindergarten through 12th grade, incorporate a proprietary mix of traditional and experiential teaching styles. Teachers also focus on cooperative learning opportunities to prepare students for the workplace and reinforce the value of their fellow students. Most importantly, we stress character development in all classrooms, based on a biblical understanding of our identity and worth in Christ. By graduation, Christ's Church Academy students have both the skills and the wisdom to become tomorrow’s leaders. From "Goodnight Moon" to the biography of Amelia Earhart. From counting to ten to fractional division. From xylophones to band, finger paints to sculpture. Lower school is where your child's love for learning begins and blossoms at Christ's Church Academy! 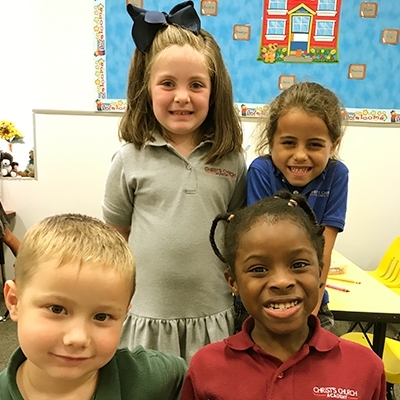 From Kindergarten through 5th grade, find out why CCA Lower School students love school (honestly, they really do!). As you know, Middle School is a major time of transition when students often struggle to succeed in what they feel is a different world outside AND inside. 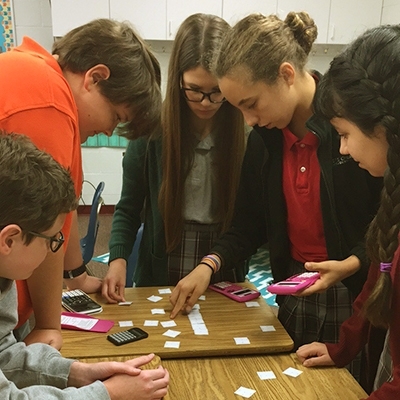 The teachers at Christ's Chuch Academy are all too familiar with the strains and stressors that accompany middle school, and they have the unique ability to challenge students academically while remaining aware of their students' delicate social structure. At CCA, we care for our middle schoolers now while we prepare them for the future. If Lower School is a time of imagination for your child, and middle school is a time of transition for them, then high school is a time of preparation for them as they enter adulthood. As your child progresses through high school, they must prepare for their next stage in life. 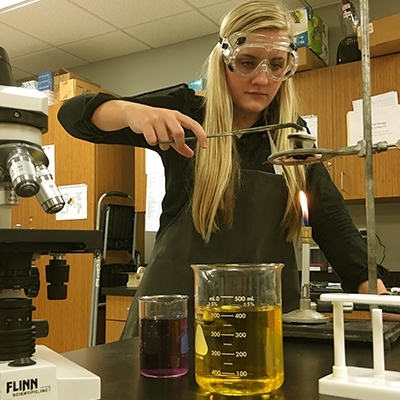 From AP classes to engaging, challenging, collaborative learning environments taught by instructors who connect with every student in their care, Christ's Church Academy is dedicated to preparing them for success in college and in life.